How do you escape the many visitors that throng to Palma in summer? Some come for a break from the island’s beautiful beaches; some are cruise ship passengers – disgorged from their floating holiday homes to try and ‘discover’ Mallorca’s capital in a few hours. Most want to spend some time relaxing over a drink or something to eat during their visit. 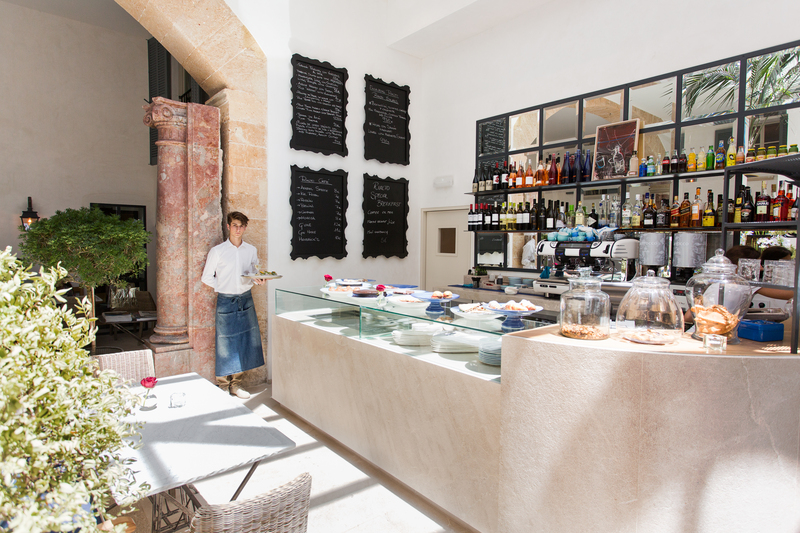 Cafés and bars on the main thoroughfares in the heart of Palma are often jammed with visitors, seeking relief from the sun and the pain of footwear inappropriate for pounding pavements. What they rarely find – unless they know where to go – is a brief respite from the bustle of this glorious cosmopolitan city. 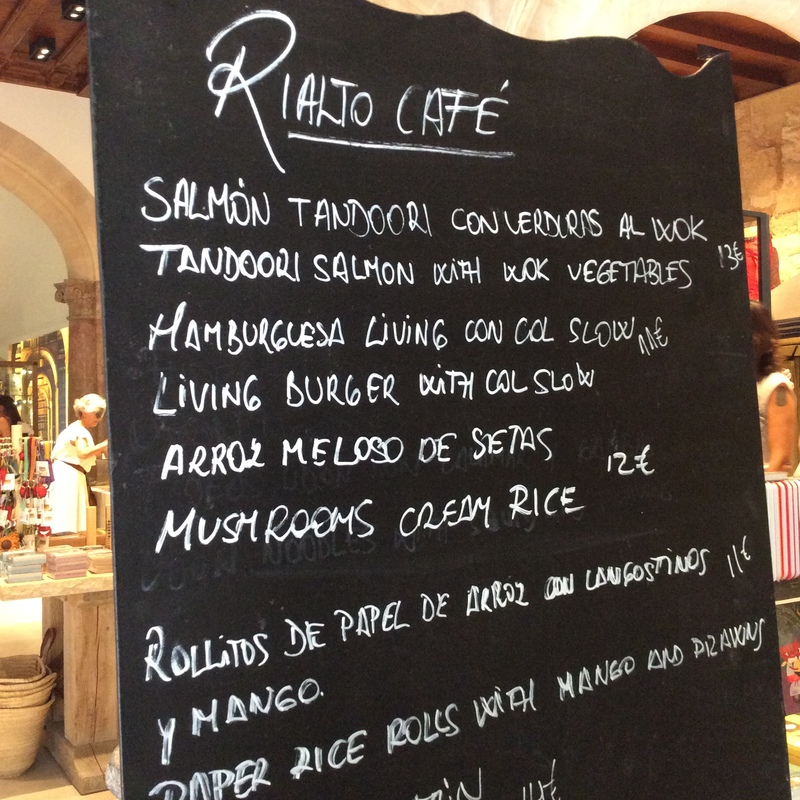 Here’s some local knowledge: that elusive respite can be found in Café Rialto in Rialto Living. This Swedish-owned lifestyle store is comfortably close (even in tottery heels) to the Paseo del Borne, home of designer boutiques and handsome architecture. Located in the lane separating the two Massimo Dutti stores, Rialto Living opened in 2007, but has doubled in size, after expansion within the sympathetically renovated palacio known as Can O’Ryan. This splendid building was the 18th-century home of Irish military doctor John O’Ryan who – fleeing the persecution of Catholics in Ireland – came to Mallorca and married Francisca Flor i d’Alemany, daughter of a wealthy local businessman. The expansion enabled the store to relocate and enlarge its café, which now serves home-made food all day until 8pm. Come for a coffee or cool drink and you can also enjoy anything from a cookie or cake to a more substantial savoury dish. My personal recommendation is their breakfast: carefully made coffee (with a chocolate), freshly squeezed orange juice and a small filled bread roll (good home-made bread) – all for 5€ and available until 11am. If you come to Café Rialto, take some time to explore the store – in particular, the art gallery on the upper floor. There are new exhibitions every five weeks or so. A view of the Rialto Café. Photo courtesy of Rialto Living. The stylish Rialto Café. Photo courtesy of Rialto Living. A blackboard lists the day’s special dishes. (My own photo).